Parque Industrial Internacional (PIISL) has two sources of supply of electricity, one national and one international. For México is supplied by CFE through the power grid of the city of San Luis Rio Colorado. Within the perimeter of PIISL has built an electricity substation with a capacity of 250 MW to meet the growing demand of the industrial zone. Alternatively we have another source to provide power supply to enterprises located within PIISL APS by a U.S. company, which already offers services to some of our customers. Due to being a border town, there is the possibility of hiring services of communication on both sides of the border. The companies offer plans that include media in Mexico and the United States with quality and competitive prices because of supply in both countries. There are all kinds of communication services in the location, closeness with the United States can be at the forefront of such systems, and communications equipment available today. The PIISL is located on the south side of National Highway No. 2 Mexico-Tijuana, which communicates with the whole country and run parallel to the international boundary between Mexico and the United States settled within 100 meters of it. No.8 highway or freeway that runs from San Diego California to Tucson Arizona, through the city of Yuma Arizona, located just 18 miles from the new office SAN LUIS II, then from there move to any part of the United States. 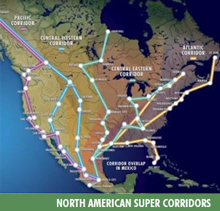 Since its inception in 1995, the CANAMEX Corridor has grown to become the cornerstone for the seamless and efficient transportation of goods, services, people and information between Canada, Mexico and the United States. Safe and efficient multi-modal Transportation Networks. Enhanced Global Competitiveness which requires quality education, accessible telecommunications infrastructure and an appropriate regulatory environment. Shared commitment to the region's Quality of Life. PIISL has access to deep-water ports in Mexico and the United States through the network of highways on both sides of the border and railway network, depending on the port in question. The import and export possibilities for different routes and ports in both countries enables the industry in different industries to diversify their options and reduce costs. The free trade zone is a system contemplated in the customs law, to which foreign, domestic or nationalized goods can be destined, in order to remain in the national territory for a limited period of time in the strategic fiscal yards, to be subject to handling, storage, custody, exhibit, sale, distribution, manufacture, processing or repair. The non- payment of foreign trade taxes or countervailing duties, except for foreign goods in the cases set for companies operating under a duty deferment or reimbursement program, pursuant to any treaty of which Mexico is part. Goods shall not be subject to the compliance of non-tariff regulations and restrictions and official Mexican Norms, except the ones issued for animal and plant health, public health, the environment, and homeland security. No taxes or countervailing duties shall be levied in shrinkage resulting from manufacture, processing, or repair processes. No taxes shall be levied on unreturned wastes, provided it is proven these have been destroyed in compliance with the control provisions set forth for such purposes by the Tax Administration Service, through rules. No countervailing duties nor foreign trade taxes shall be paid, with prejudice of the treaties of which Mexico us a part. No VAT is paid for the introduction. No VAT is paid for encumbrances within the Fiscal Yard. No IEPS (Special Tax on Production and Services) is paid. Domestic goods are deemed exported as of the time they come in. Goods can be subject to depreciation as of the moment of being introduced into this system. We work closely with Greater Yuma for the region economic development.